MG Masonry has the ability to handle any size project, big or small. Our professional team will make us your single Construction source from start to finish. We work with you from the design to obtaining essential permits and licenses required for your project. Once ground is broken on your design/build project and construction begins; we make sure we meet all requirements, stay within budget and deadline agreements. Our Mission is to provide Homeowners and Contractors with Quality work and a Solution to their construction needs. 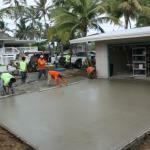 MG Masonry is a dually licensed Contractor in the State of Hawaii. This helps get projects up and running with limited coordination among separate contractors. 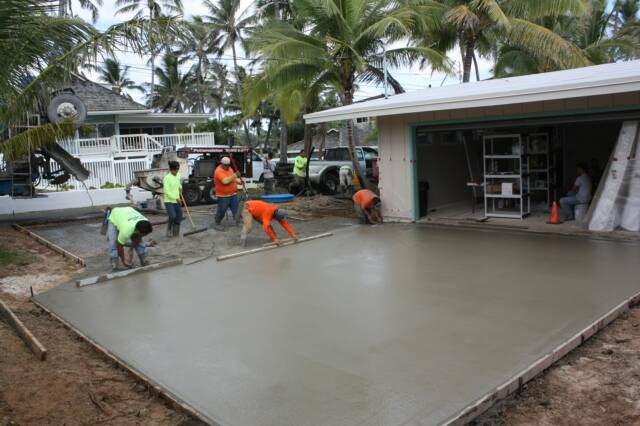 We offer a complete excavation package, formwork, flatwork, concrete driveways, sidewalks, patios, footings, Block walls, travertine and stone installations. The Company has a reputation for finishing projects on time and within the projected budget. MG Masonry is compliant with OSHA safety standards, conducts itself with integrity and believes in doing the right thing in all situations. For exceptional professionalism and dependability contact MG Masonry for a consultation.